I’ve been visiting the Stillwater Botanic Garden quite a bit lately because it’s been a great place for macro photography of flowers and butterflies. Yesterday, I visited again to see what had changed since my last visit to take pics of the squirrels. This time there were many new blooming flowers and plenty of butterflies. 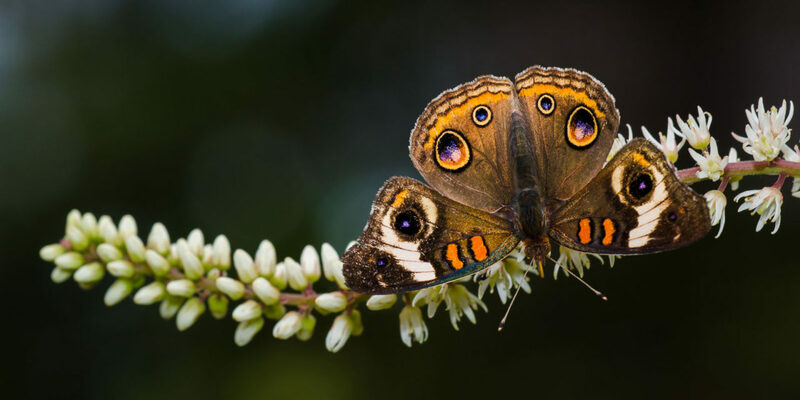 I love the photo of the above butterfly, but had no idea what it was until a friend mentioned it was a a Buckeye. I’ve posted a few more shots of butterflies in the Stillwater Botanic Garden gallery.